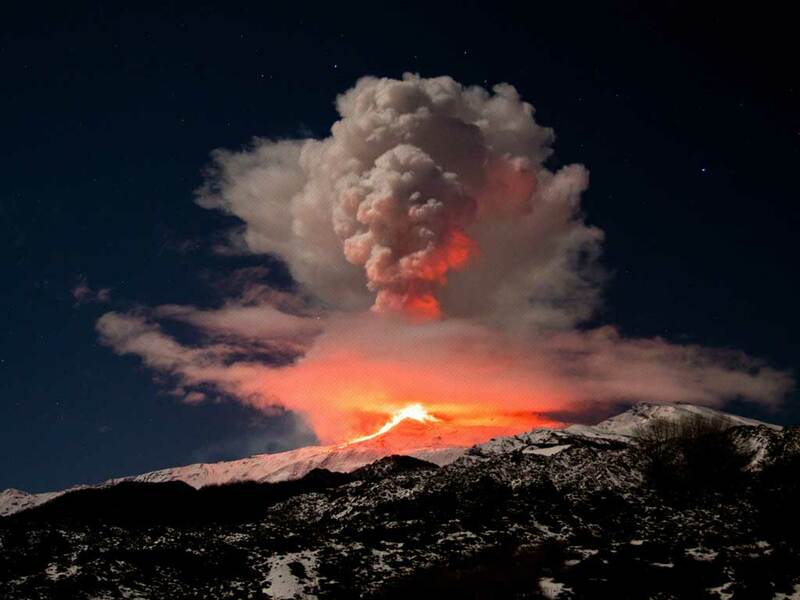 New Etna Walk photo and eruption still running. Cluods made everything more fascinating! Nice explosions tonight! All clearly visible by our terraced rooms.